Disclosure: I am partnering with Bays English Muffins. All opinions are my own. As of late we have been on the go, trying to make meals that are quick and even trying to get the kids to help too! 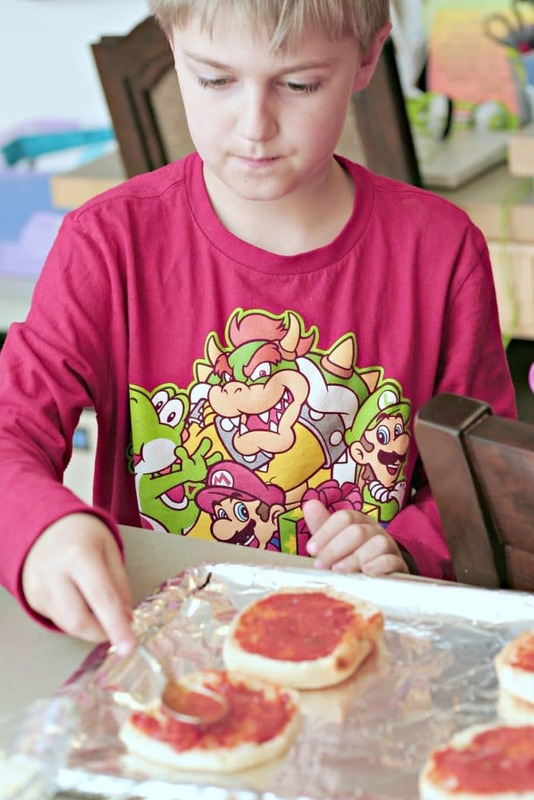 We are big pizza fans in our house, so when the kids asked for pizza the other night, we decided to set up a kid friendly english muffin pizza bar and let the kids get after it! Set up was simple, I grabbed some ready made sausage, olives, mushrooms and mini pepperonis along with pizza sauce, cheese and of course some delicious Bays English Muffins. I portioned the ingredients out and made it easy for the kids to create the pizzas of their dreams. I also made clean up easy by covering our baking sheets in foil! 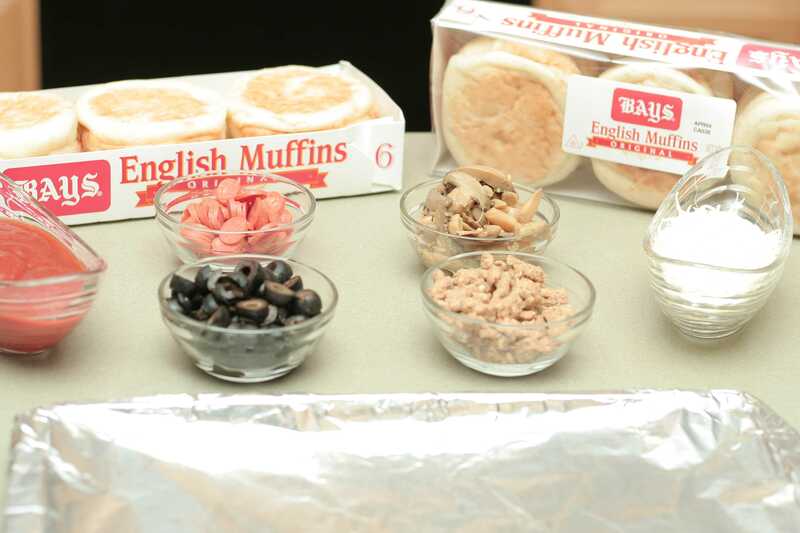 We laid out the Bays English Muffin halves on the baking sheet and each kid took turns putting on different ingredients. My son told me he was the sauce master because he was able to get the sauce perfectly in every “hole” of the muffin. I can’t say I disagree with his self proclaimed status because that determination on his face says it all! The little one wanted to put on only the cheese. I probably laughed at her the most because she would put down like one shred of cheese at a time and told me she was making them perfect. 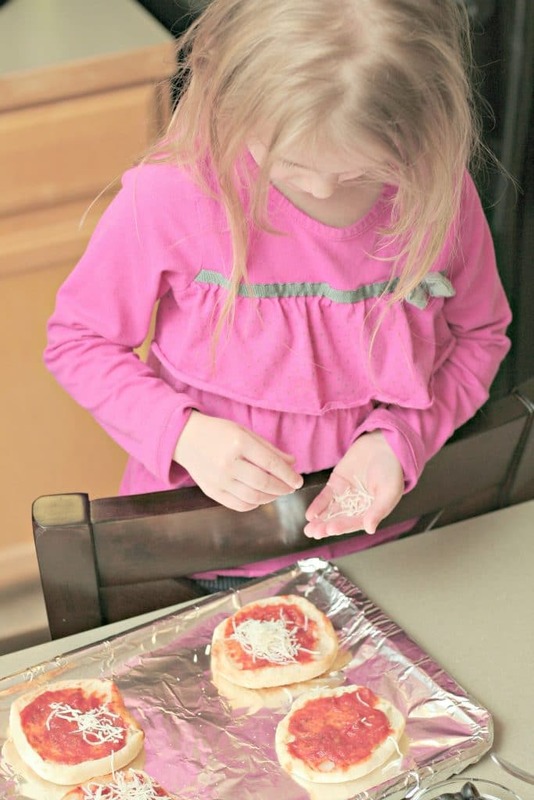 I told her that she would probably need to put the cheese on a bit faster and she said, “mom, perfect takes time”. This child kills me, but she was right! We spent a lot of time in the kitchen laughing and creating. 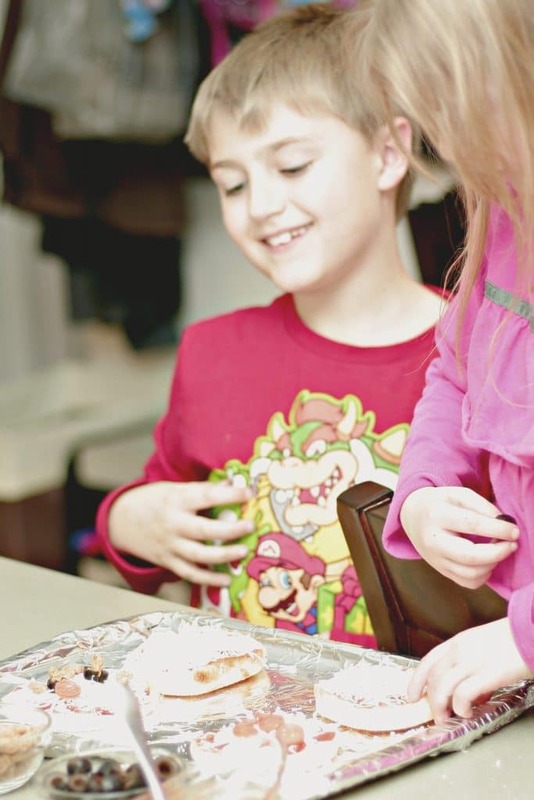 I absolutely love cooking with my kids and I feel like it is a way for them to learn, for us to make memories and for everyone to enjoy each others qualities. Making food for others is a way to show love and I remind my kids that often. My husband jumped in and decided to remind us that he used to work at a pizza place and he would be making the best pizzas. 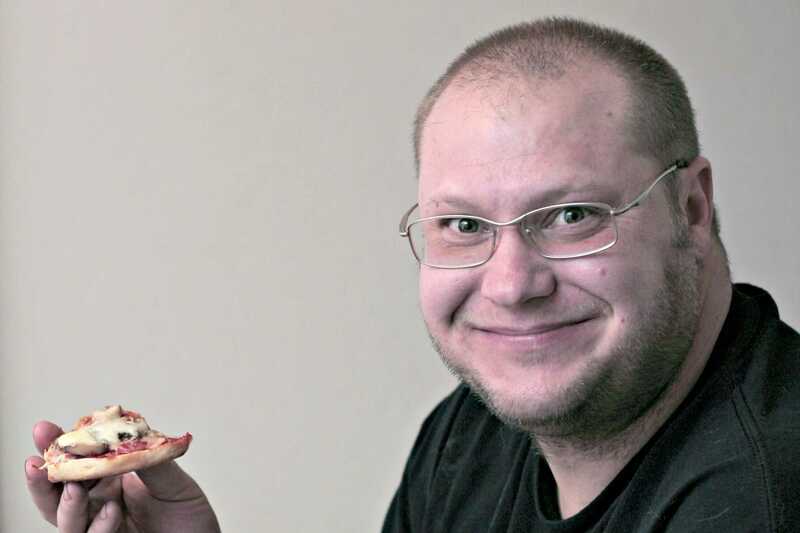 He pulled out another baking sheet and decided to show us all how amazing his pizzas would be. Just like that he laid out 3 Bays English Muffins and had 6 mini pizzas fully loaded and ready to bake in the time that it took the kids and I to do ours! It was pretty fun and added a bit of competition. Can you tell which pizzas he made? We placed them in the oven for about 15 minutes to really crisp up those muffins. I went back and forth with my husband over this because I didn’t want to burn them and he was insistent that in his experience 15 minutes is the perfect crisping time. He was right and boy were they perfect. So why english muffins? Well because they are the perfect size for personal pizzas, they are already made, they crisp up to perfection and they are delicious. My husband was honestly skeptical when I told him to just use the Bays English Muffins instead of making dough and then he tried them and was sold. The man made an entire batch to share at work during lunch the next day. They are THAT good people and that easy too! Print the recipe below to enjoy for later. 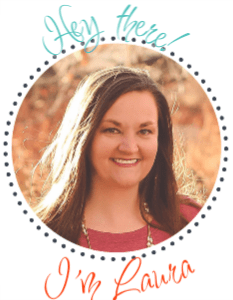 You are going to want this one! 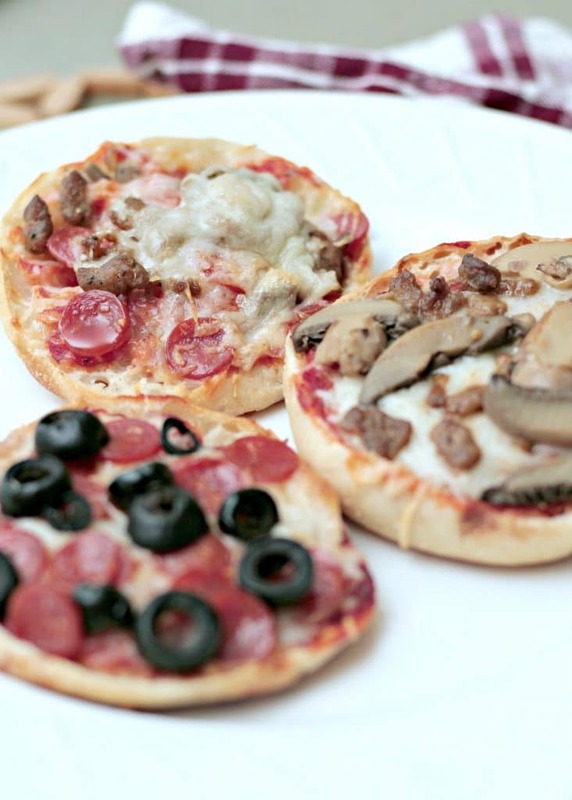 The easiest kid friendly english muffin pizza recipe out there. 3. Open English muffins and lay them flat on the foil. 4. Spread a spoonful of pizza sauce on each English muffin. 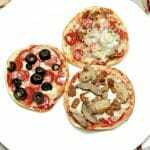 There are so many options of pizza toppings that you can choose from and you can truly be your own pizza genius. It is an awesome family activity too! 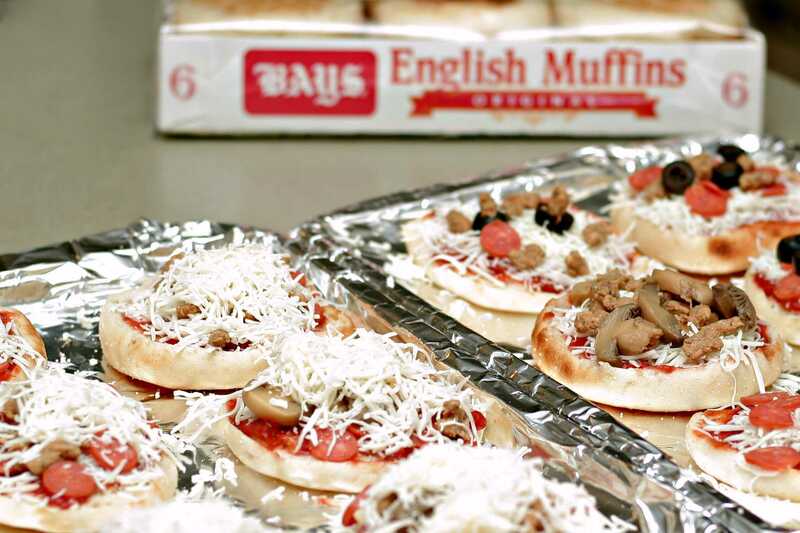 Check out this short video on another awesome variety of Bays English Muffin pizza toppings! Now for the best part of the post! You too can be a Bays Pizza Genius! Enter daily for your chance to WIN a countertop pizza oven and two packages of Bays English Muffins to try out any recipe you can dream up! 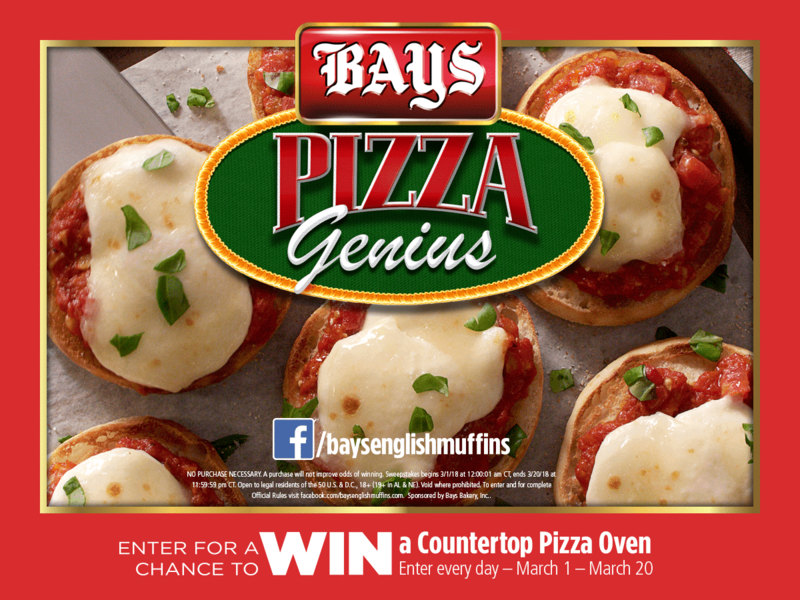 Make sure that you enter HERE and share why you are a Bays Pizza Genius from now until March 20,2018! Official rules are located at Bays.com and no purchase is necessary to win! So do it, you have nothing to lose! We are definitely going to be adding this to our dinner rotation. 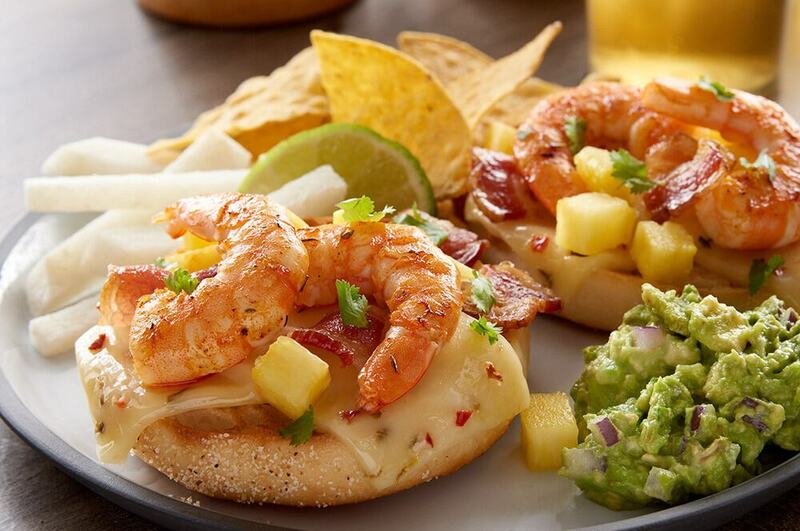 Also after checking out more of the Bays website I am totally trying this southwest shrimp bacon pizza option too. Seriously, you can put anything on a pizza and this little rendition will be making an appearance at my next pizza dinner! Have you tried Bays English Muffins yet? Ready to be a Pizza Genius? Enter Now!